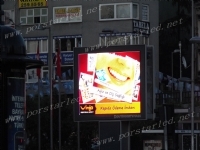 Desc: it is P10mm 1R1G1B Fixed Double Side LED Display by 3.84m x 2.88m with 12pcs Standard outdoor water proof cabinets 960mm x 960mm.Fix 3pcs the same led screens in the WALL Street of Istanbul downtowm in right, left and corner of street. 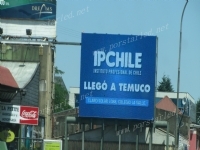 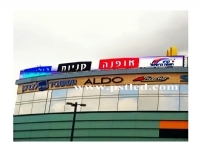 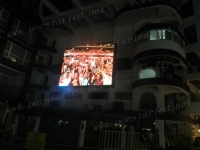 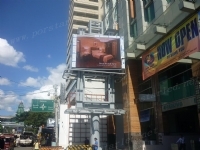 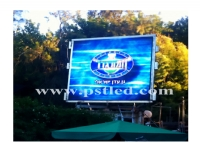 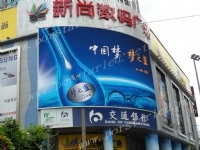 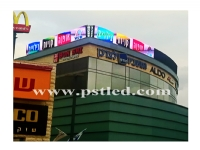 Desc: 5pcs P16mm 1R1G1B outdoor LED Displays are used in TEMUCO for first advertising company. 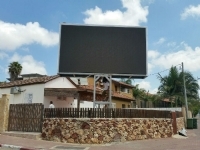 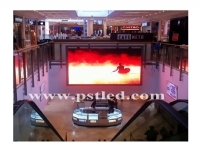 Each screen size is 4.8m x 3.84m. 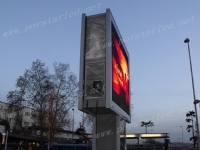 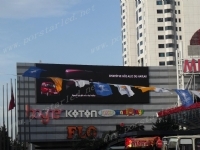 Desc: it is P10mm 1R1G1B Fixed LED Display by 3.84m x 2.88m with 12pcs Standard outdoor water proof cabinets 960mm x 960mm.Fix 3pcs the same led screens in the WALL Street of Istanbul downtowm in right, left and corner of street.